At some point in time, every car owner must face the moment of truth. What to do with rusted rockers? Oh, they will rust for sure. 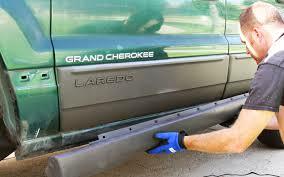 Even if the roads seem as dry as a bone, your rocker panels are more prone to corrosion than any other auto body part. Blame it on the snow, the water, and the salt. But we have seen six-year-old trucks with rockers having gaping rusty holes in the bottom. What compounds the problem is that if your naked eye can see even the slightest amount of rust, the chances are that there’s a lot more on the inside. Because rust always forms inside out. Sane automobile owners will tell you that compromised rocker panels are bad news. It’s best to get it sorted as soon as you can. But which way do you go? Do you repair it (neither easy nor affordable) or replace it altogether? There’s always the temptation to go DIY and just cut out the rusted part, weld in new metal and paint it with POR-15 or something similar. But, before you start prepping with your grinder, it’d be better to understand the extent of damage and whether the repairs will justify the effort. Many times, it’s not. Some part of the rusted portion remains out or reach and welding new metal onto a rusted surface is not the brightest of ideas. It’s a lot easier to replace it altogether. Gives your car a makeover and improves the structural integrity. Good to go for another 8 to 10 years. But, if your auto mechanics charming smile concealed the shocking quote that you received and it is a demotivation, then you’d be glad to know that you can always buy the best rocker panels yourself. If you are willing to get your hands dirty, replace it in as less as an hour and save yourself a few hundred bucks. Here’s our pick of the top-rated rocker panels on the market. We have rated them on the basis of ease of installation, cost-effectiveness, and the number of positive customer reviews they have generated. Smittybilt has been one of the leaders in the aftermarket off-road industry with their elaborate range of accessories for trucks and SUVs. And the SRC Textured Black Side Armor is one of their most popular offerings for the JK (Jeep Wrangler). Featuring a dual girder system for the undercarriage and the sides, this heavy duty rocker guard (fabricated from 1.75″ steel tubing with .120 walls) will be the perfect shield for those rugged off-roading trips. At the same time, it also works as a step to get on to the jeep. The SRC Side Armor has been designed for easy installation without making any modifications to your vehicle. All you need to do is hold the unit, slide it into place and put the nuts on. If you find that the installation is difficult or are unable to match the holes for some reason, it is recommended that you seek help from professionals or read the instructions carefully. The SRC Textured Black Side Armor is one of the best additions to any Jeep. It ups the rugged quotient by miles and the signature black matte powder coat is a wonderful change from the stock plastic boards. 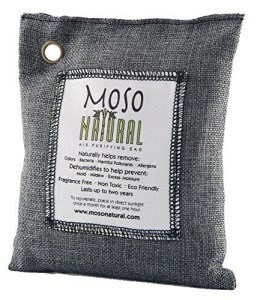 It is rust resistant and will give you a firm surface as you step out of the jeep. With over 99% positive reviews, this one is one of the best rocker panels, and a must buy for Jeep owners looking for a rocker panel. If you have an old Chevy Silverado or a GMC Sierra with an ailing rocker panel that desperately needs a makeover, then the Universal 4dr Extended Cab Outer Rocker Panels from C2C fabrications should be on your wish list. The Universal 4dr Extended outer rocker panels are a perfect replacement for the outer rocker sections. It is fabricated from 18ga automotive steel and will ensure that it repels off rust for a long time to come. Since it comes in bare-bones unpainted steel, it may probably need a paint job once fitted. It fits both models in all door configurations (2 door to crew to 4 door) perfectly without having to make modifications. 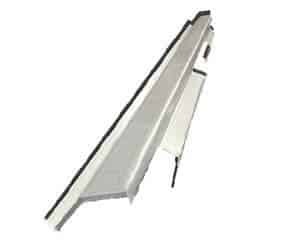 This is a slip-on model and can be installed over the existing panel. But you can always choose to cut out the old rusted panels. In some cases, depending on the damage to the older panels, some minor modification may be required. Also, since it is 78” long, it may not fit some models out-of-the-box. This is a cheap replacement for the Chevy Silverado and the GMC Sierra. Grab some tools and spend a couple of hours installing this. You will save a lot of money and give your old truck a new lease of life. If your JK has been screaming for some protection for the rocker panels, then check out Bushwacker’s Trail Armor Rocker Panel & Sill Plate Combo Pair. It instantly uplifts the design to a custom look and provides the rockers and the scuff plates with the much-needed protection. 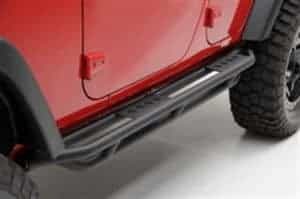 The Bushwacker Jeep Trail Armor Rocker Panel & Sill Plate Combo Pair is designed for the rugged outdoors. It is manufactured from Dura-Flex® 2000 TPO material, a proprietary material that is rust resistant, lightweight and extremely durable. 100% UV protected, it does not chalk either. So once you have tossed your worries out of the window, maybe you can focus on the installation. While the Bushwacker Jeep Trail Armor Rocker Panel & Sill Plate includes screws in the pack, it does not need it for the installation. All you need is some automotive-grade 3M™ adhesive, and you are all set to go off-roading. Even if you have a Smittybilt rail or an LOD rock slider installed, it will be a snug fit without drilling holes or making unwanted mods. With a lifetime warranty from Bushwacker, you cannot go wrong with this Trail Armor®. If you are bugged with the sound of small rocks pinging off the rockers or scratching the paint off, this is just what you need. Go for it. Regain the lost glory of your Lincoln Town with this 8 piece rocker panel set that enhances the style while providing the much-needed protection from debris. Coming from Maxmate, one of the top 10 sellers on Amazon, you can rest assured of the quality and customer service. Manufactured from 26 Gauge premium quality stainless steel, this rocker panel set will be an apt replacement for any old rusted or worn out rockers. Not only does it repel rust but also keeps the undercarriage protected from road debris. The beautiful mirror polish finish is a perfect complement to the Lincolns subdued color tone. And if customer reviews on Amazon are to go by, then the mirror finish does not fade or get chalked. Installation is a cinch. All 8 pieces (4 on each side) come with automotive-grade 3M™ adhesive on the back. Just line things up and press firmly to install. No holes, drills or grinders needed. The panels also have two white protective layers (trims) which need to be removed after installation. All in all, it does not take more than an hour to replace your old rocker panel. Lincoln Town owners are thrilled with the reliable performance and the pocket-friendly price on this rocker panel set. It comes with a lifetime warranty. Evan-Fischer is renowned for their affordable and reliable original equipment replacement parts. The EVA22672027253 is a direct fit rocker panel that is compatible with a wide range of Jeep models. The easy installation and the durability make it an inexpensive replacement for a damaged rocker. 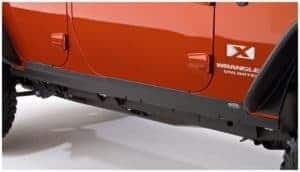 Manufactured in accordance with industry standards, the Rocker Panel is extremely durable and will keep the color protected from scruffs and debris. It is primed and ready to paint. So, you can customize it according to your jeep. This is the driver side panel, and the other panels are sold separately if you want to replace all of them. Depending on the condition of your old rocker panel, you can either cut it out or weld this one over the rusted ones. However, installation can also be done with rivets and screws if you are not a welder. In some jeep models, it may not be a ready-fit, and some minor modifications may be required. All in all, it’s a couple of hours at best. For the durability, the easy installation and the snug fit, the Evan-Fischer EVA22672027253 Rocker Panel is a steal. Go give your Jeep Cherokee a facelift. 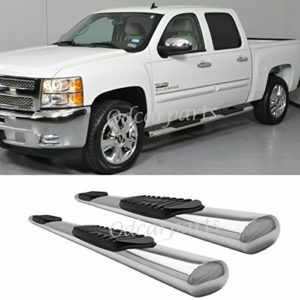 If you have ever found it difficult to get into your Chevy Silverado or you have an elderly person at home, who would prefer the additional stability that side step nerf bar can bring, then this rocker panel mount oval tube side step will be a great buy. Constructed from heavy duty T304 Stainless Steel, this side step nerf bar provides you with purchase as you step in or out of your chevy. It has a 4″ Inch Oval Style Tube with slip-Resistant Plastic Step Pads to give you a firm footing each time. The weight capacity is up to 450 pounds on each side. So, you can rest assured that it is not flimsy or will not bend with time. 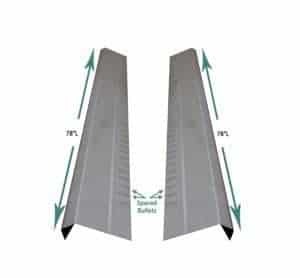 Some amazon reviews have stated that the side step has not rusted even a bit after 2 years. That speaks for the durability. This is designed for easy bolt-on. All you need to do is line up the pre-drilled mounting holes in the frame of your rocker panel and bolt it on. Ideally, you shouldn’t need any modification or drilling. A few people, have them turned incorrectly and may find that they don’t fit. Try switching sides and see if that works. The only thing that you’d have to be careful about is compatibility with your truck. Easy installation, rugged construction, and positive reviews. Cannot ask for more. If it’s a rocker panel mounted nerf bar that you are looking for, then do not look further. This is the best choice, hands down. When it comes to rust replacement parts, few can beat C2Cfabrication who are by far the most trusted manufacturers for it. A lot of Buick Century and Regal owners have a problem with the rockers rusting out faster than usual. 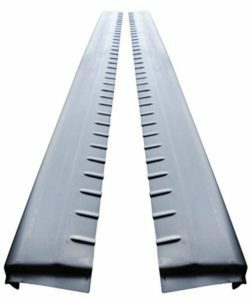 If you are done mending yours and are looking for a replacement, then go for this 1997-05 Buick Century and Regal 4DR Outer Rocker Panels (Pair). It is an affordable and reliable replacement with excellent reviews on Amazon. This outer rocker panel is made from 18ga automotive steel which is the toughest according to industry standards. This is a pair that replaces the outer rocker sections on both, the driver as well as the passenger side protecting the Buick from corrosive debris. It comes primed and ready to paint. So you can customize it to add some style to the old car. The company recommends that you cut out the old rusted panel and weld this one in place. But if you are a novice at welding, then you can consider pop riveting. It’s not the ideal nor the recommended method, though. Experts suggest that it weakens the subframe. Would be better to hire someone to weld it for you. Complete value for money. There aren’t many companies that offer rockers for the Buick Century and Regal. C2C fabrications are undoubtedly at the forefront of them all when it comes to positive customer reviews and customer support. This one is a winner. If your Jeep YJ has had its share of adventures, then the metal under the door can have a few battle scars to show for it. Now, you can prevent it from showing and also add a much-needed layer of protection with this Jeep YJ Diamond Plate Side Rocker Panel. These are a full six inches tall and unlike the cheap flimsy aftermarket rockers that you’d normally see. Manufactured from .063 gauge Aluminum Diamond Plate, it has a highly polished finish and can even be custom painted to make your YJ stand out. It is completely handmade in America and is one of the most durable additions that you will make to your Jeep. Aluminum rivets are included in the pack. But you’d need to drill a 1/8 “hole to install them. Alternatively, you can use automobile grade 3m adhesive tape and rtv caulk to install this easily. Some customers have mentioned in their reviews on Amazon that they used heavier sheet metal screws in place of the rivets. Either way, installation is as simple as it gets. 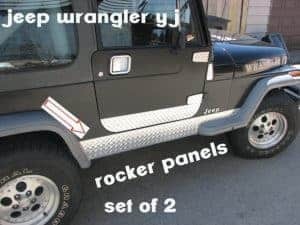 These rocker panels are a cost effective and worthy addition to your Jeep YJ. It will keep the paint protected and will conceal any nasty bumps below the door. Great Price too! If your old Chevy has been up north one time too many in the Winter, then your rockers may start to rot before you even notice. Lots of salt on the roads there. Nevertheless, if its rust, then its best to replace it and this Slip-On Metal Rocker Panel should be a perfect replacement. Compatible with 99-06 Chevy Silverado/GMC Sierra Extended Cabs, this replicates OE quality at half the price. The 20ga. Galvanized steel construction is rugged and will thwart corrosives easily. And unlike typical aftermarket parts, it’s not a flimsy addition. Each panel weighs 6lbs and is every bit durable, giving you more bang for your buck. They are die-stamped and will be a perfect fit for the truck. Since it is a perfect replica of the OEM rocker panel, it has the same bumps and bullets in the same place on the bottom. So, you’d have to cut out the old one and weld this one in place. No two ways about it. Even if the name says slip-on, it’s not something that you can slip over the old one. Does it do the job? You bet. This is a deal as good as any, and it’s a purchase, you won’t regret. Go for it. We hope you can find the right one for your car from this list of best rocker panels in the market currently. 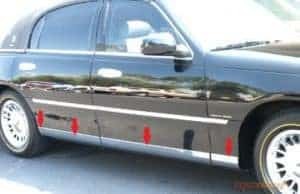 http://forums.pelicanparts.com : Is there a definitive guide to rocker panel replacement?